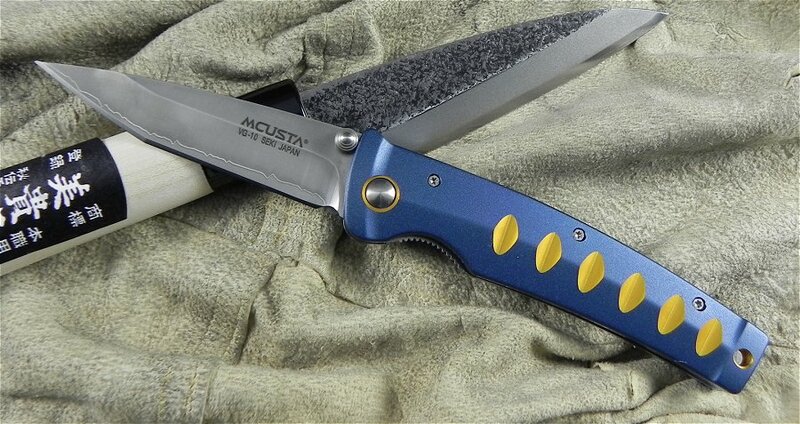 Mcusta Katana Folder Blue/Orange Handles. 4 1/4" closed linerlock. VG-10 clad tanto blade with ambidextrous thumb studs. Unique forged and machined aluminum handles are double anodized in two colors (blue and orange). Integral pocket clip. Specially designed Teflon washer system for silky smooth action.